Across Ontario people are doing great work to connect children and youth with good food! 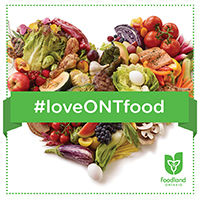 Make it easier for people across Ontario to get children and youth eating, growing, cooking, celebrating, and learning about healthy, local and sustainably produced food. Check out some stories about the spaces, places and ideas that are changing what kids eat. Photo Credit: Children get ready to dig in The Stop CFC’s teaching gardens.